Sushma Swaraj's Statement On Kulbhushan Jadhav's Family: Mr Jadhav's mother Avanti and wife Chetankul were forced to change their clothes and take off their mangal-sutras, bindi and bangles for the 45-minute meeting on Monday. New Delhi: External Affairs Minister Sushma Swaraj gave a statement about Indian national Kulbhushan Jadhav's family visiting him in Pakistan and the way they were treated there. She delivered her statement in the Rajya Sabha. She is to deliver a statement in the Lok Sabha later in the day. Ms Swaraj had met Kulbhushan Jadhav's wife and mother when they returned from Pakistan on Monday. There has been an outrage over the manner in which Kulbhushan Jadhav's family was treated in Pakistan. Both the government and an angry opposition has condemned the way Pakistan treated the family of Kulbhushan Jadhav, a former navy officer sentenced to death by a Pakistani military court. Mr Jadhav's mother Avanti and wife Chetankul were forced to change their clothes and take off their mangal-sutras, bindi and bangles for the 45-minute meeting on Monday tightly controlled by Pakistani officers. Chetankul Jadhav's shoes were not returned by Pakistan, which claims there was "something metallic" in them and they are being examined by forensic experts. After the meeting, the family was forced to wait for their car outside the Pakistan Foreign Office, which left them wide open for harassment by the Pakistani media. Lawmakers chant "Pakistan Murdabad" in Lok Sabha as Sushma Swaraj delivers statement in Lok Sabha. Sushma Swaraj delivers her statement in Lok Sabha. 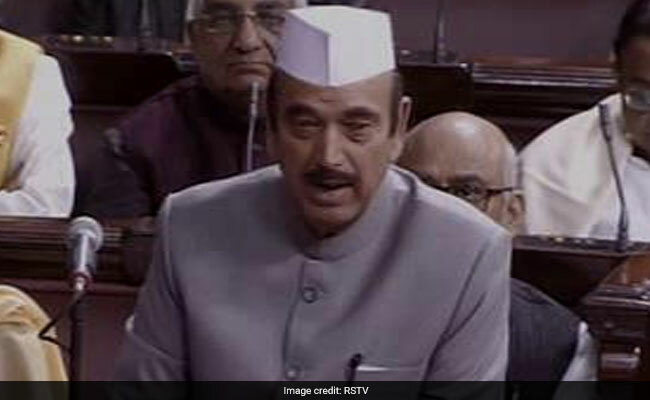 Gulam Nabi Azad: "I had to say a lot of things. The false allegations that Pakistan has put on Kulbhushan Jadhav can become more problematic if we make too much noise. The disregard that Pakistan has shown towards Mr Jadhav's mother and wife is sad. They have disregarded the women of India. Pakistan government has to assure that they would not disrespect the women of our country in this manner." 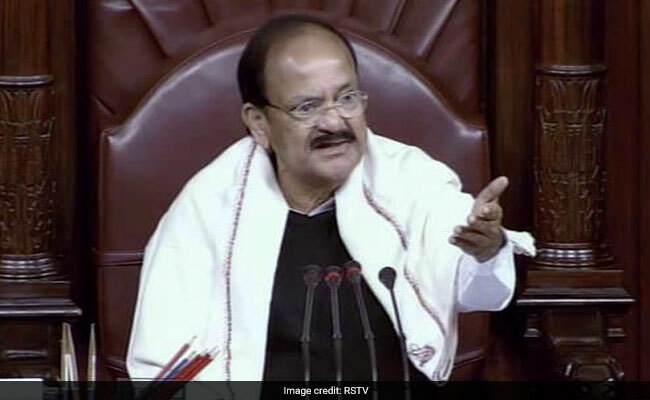 Venkaiah Naidu: The chairman of the House (Rajya Sabha) doesn't normally make such a statement, but the House has observed that every single member and party is in agreement with the minister's (Sushma Swaraj's) statement and stands with the government to ensure that justice is done to Shri Kulbhushan Jadhav and his family. 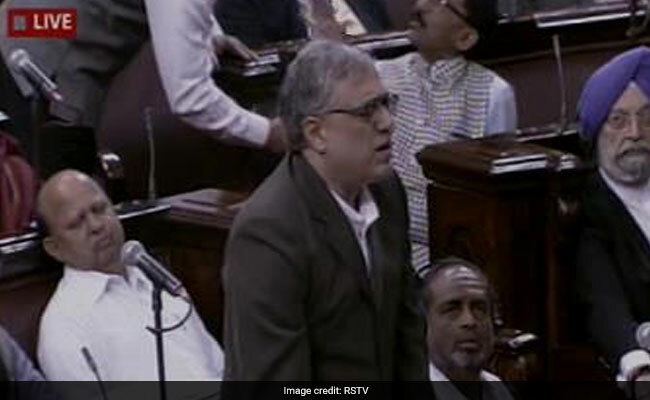 Derek O'Brien on Sushma Swaraj's statement in Rajya Sabha: "We are in complete agreement with every word of what the minister said. We stand by the statement and support the government on this." All parties endorse the statement and are in complete agreement with Foreign Minister Sushma Swaraj regarding the manner in which Pakistan treated Indian national Kulbhushan Jadhav's wife and mother during their visit to Pakistan. "We condemn such shameful behavior by Pakistan and will not take in silently. We will expose Pakistan's utterly disgusting behavior," Ms Swaraj said. "The shoes have not been returned ... we had warned of something this... Pakistan's behaeviour has been beyond absurd... sometimes they claim a microchip, sometimes a recorder, and sometimes a camera... What about the Emirates flight they took? These were the shoes they wore during their travel... If that had been the case, they would have been detected at security check before they boarded the Emirates flight.."
"I reconfirmed this with the family this morning to be absolutely certain of this.."
"The first thing that Kulbhushan asked his mother was "What happened to father?" after he saw no mangalsutra on his mother," Ms Swaraj says in the Rajya Sabha. "Both Mr Yadav's mother and wife were presented as widows in front of him.."
"The manner in which the meeting was organised was appalling... their clothes, shoes, bangles, and even their mangalsutra was taken away.."
"The meeting between a mother and her son, a wife and her husband after going through so much was turned into an exercise of propaganda and an opportunity to exploit the situation"
"The family wished to meet Mr Jadhav and we arranged for it. Even Pakistan agreed for it this month. This could have been a step forward for both countries, but this wasn't to be." Sushma Swaraj: "As we all know the foreign ministry along with the Pak government had organised for Shri Jadhav's family to meet him in Pakistan on Monday. " Sushma Swaraj delivers statement in the Rajya Sabha. Spoksperson of the Minister of External Affairs, Raveesh Kumar had posted a statement on Tuesday after Kulbhushan Jadhav's meeting with his family in Pakistan. Both the government and the opposition condemned the way Pakistan treated the family of Kulbhushan Jadhav. Sushma Swaraj had met Kulbhushan Jadhav's wife and mother when they returned from Pakistan on Monday after meeting Mr Jadhav. Yesterday, the opposition condemned the way Pakistan treated the family of Kulbhushan Jadhav, a former navy officer sentenced to death by a Pakistani military court on charges of spying. 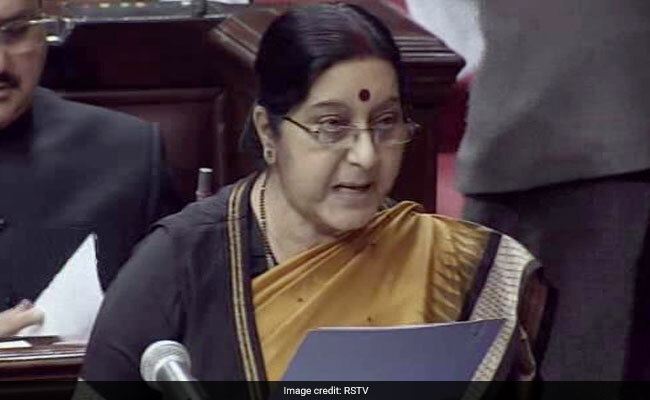 Foreign Minister Sushma Swaraj will make a statement in Parliament today. She will first make a statement in the Rajya Sabha followed by a statement in the Lok Sabha.